Good Choice Reading: Cover Reveal: Red Threads by Stacey J. Mitchell & Giveaway! Cover Reveal: Red Threads by Stacey J. Mitchell & Giveaway! Twenty-six-year-old Lily Robinson has her dream job in a museum, a great boyfriend, and is happy with her life – until the day she starts seeing red threads growing out of the chests of those around her. That same day Lily meets a stranger who seems to know her and understand what she is seeing. Lily doesn't believe him when he says she has a special ability, and it's only when he saves her life that she accepts something very strange is happening to her. Lily's life is rapidly turned upside-down when she gets thrown into the world of fate and meets the beings who influence it. Can she learn to control her ability to help herself and those around her who need it most? Will she actually want to when she finds out what she has to do? 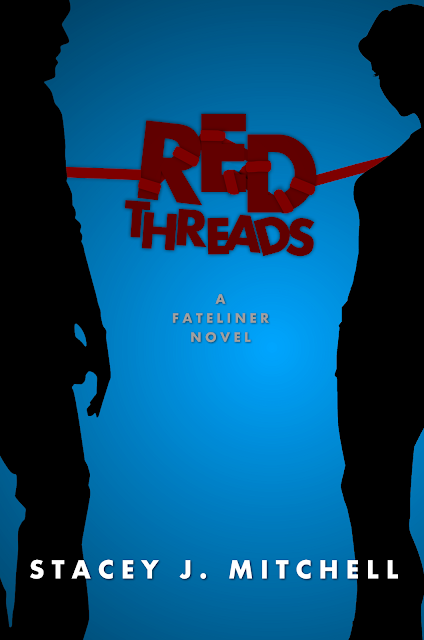 The first novel in the Fateliner series, Red Threads is a contemporary fantasy that looks at how fate can change lives and relationships in an instant. Thank you for introducing me to this book, it's very intriguing and I can't wait to check it out. Red Threads sounds like a great read. Thanks for the chance! Looking good! Thanks for the giveaway.